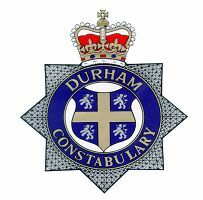 As we enter the festive period Durham Constabulary would like to remind you of a seasonal operation that has been put in place to ensure you are more prepared for the dark nights – this Operation is called Winter Nights. The aim of Winter Nights is to reduce the types of crime that traditionally start to increase as the winter months approach and the dark nights arrive. Crime statistics show that when evenings become darker house burglaries are more likely to happen. Unfortunately we have one incident on the evening of Sunday the 27th of November 2011 in Trimdon Grange. This occurred between 5.20pm and 5.30pm access was gained via an insecure rear patio door of the property the house holder was in the property at the time of the incident and unaware that the incident had occurred. A handbag and contents was taken on this occasion. Trimdon Grange had 3 similar incidents during the same winter period last year. Before leaving and when entering your home make sure you have locked both your front and back doors. Although this one sounds simple, almost a third of properties are burgled due to an insecure door or window. Consider leaving a light on before you go out when it’s dark. It’s a fact that properties left in darkness are more likely to be targeted by burglars as they stand out and look more vulnerable. If you have a house alarm – please use it! Do not leave Christmas presents or valuables on display in your vehicle – this is an easy target for thieves. If you notice anything suspicious in your area or you would like to have a chat with your local neighbourhood policing team please contact us on 0345 60 60 365.